Cfast Clear Dental Braces. Fast, affordable, payment options available. Do you want beautiful straight teeth with Cfast™? Do you wonder why you don’t have straight natural teeth? 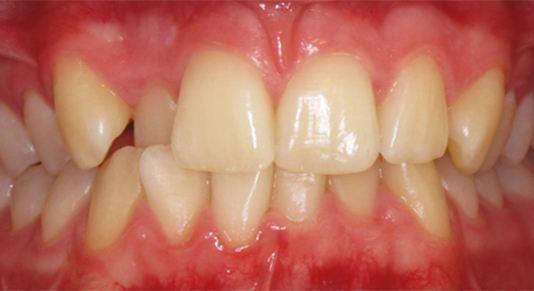 If so, there is a strong possibility that you have a minor or more complex tooth alignment problem. Even some invisible braces for teeth can often require up to and over 18 months of wear before teeth will appear visibly straighter and better aligned. Thankfully, there is an alternative solution. The C-Fast system (Cosmetically Focused Adult Straight Teeth) uses tooth-coloured wire and clear brackets to straighten your teeth in just 2-6 months. Most of our patients come to us looking for discreet braces and for quick results. 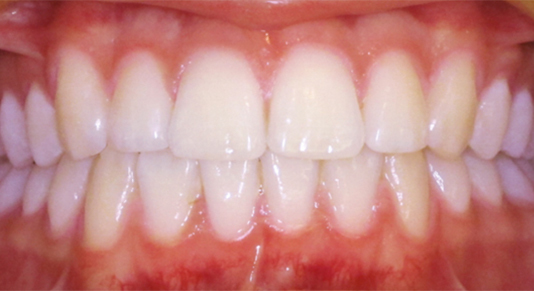 Some are particularly unhappy with the alignment or crowding of their upper teeth. Sloan Dental can fit a Cfast brace for 3-6 months followed by free teeth whitening for the maximum results! Here are a few examples below of why fixing your upper six front teeth can make a huge difference to the overall appearance of your teeth. Q: How much do Cfast Braces Cost? A: At Sloan Dental, we offer new and existing patients across Glasgow, Renfrewshire, Motherwell & Lanarkshire, a free initial consultation during which we can assess patients suitability for Cfast teeth straightening. During your Cfast braces free consultation, we will discuss how soon you should expect to see results, what results might be achievable, and just as importantly, your present and future dental health overall. During your Cfast braces free consultation, we will, of course, discuss the costs associated with Cfast teeth straightening. However, while it is true that Cfast braces will not be covered by the NHS, patients need to remember that with Cfast braces, they benefit from reduced overall dental appointments, expedited recovery times, and far less time spent feeling self-conscious over either crooked teeth or the visibility of a regular retainer. Q: Are Clear Bracket Cfast Braces for You? A: Do you often shy away from smiling as widely as you could for the camera? If so, and offset or crooked teeth are what are impacting your self-confidence, Cfast braces are the fastest and safest way to help rebuild that confidence finally. Don’t hide from the camera any longer. Call Sloan Dental today and book your, no obligation Cfast braces free consultation. We’ll then assess your suitability for the system and have you smiling more confidently in no time. Q: How Long Does A Cfast Brace Take Effect? A: The benefits of c-fast braces are simple. Conventional and even contemporary clear bracket braces will often need to be worn for up to 2 years before patients will start seeing results. Even worse, during those two years, repeat dental visits will often be necessary in order to realign and check retainers themselves. The good news, in this case, is that with c-fast braces, you can expect to see results in is as little as 3-6 months. Of course, how quickly patients see results when using c-fast braces varies from patient to patient. However, because C-fast teeth straightening couples new clear brace technology with significantly reduced retainer wear time, patients no longer need to make a choice between having crooked teeth or wearing an unsightly retainer for prolonged periods. Q: Can A Cfast™ Brace Be Uncomfortable? A: Cfast brace has been designed so patients can wear them comfortably. They do this by exerting a lighter pull than regular orthodontic treatments. After initial treatment with the brace, you will wear a retainer to support your teeth. The retainer is worn behind the teeth and this will be invisible, also. Q: Are Cfast Braces for You? A: The system focuses on just the front 6 teeth that make up your visible smile and takes less than half the time to align your smile than regular orthodontic treatments. Specialist orthodontic treatment may still be required if all of your teeth or your bite needs attention, but if you want to simply straighten out a slightly crooked smile then the C-Fast system would probably be the best decision for you. The natural coloured wires and brackets make the system almost invisible and they exert a lighter force than traditional metal braces which make the process a much more comfortable one. After the treatment is complete, you will need to wear a retainer to support the new alignment of your teeth but this can be worn behind the teeth so this won’t be seen either. The natural coloured wires and brackets make the system almost invisible and they exert a lighter force than traditional metal braces which make the process a much more comfortable one. After the treatment is complete, you will need to wear a retainer to support the new alignment of your teeth but this can be worn behind the teeth so this won’t be seen either.